April and May 2011 mark the 70th Anniversary of the Battle for Greece and Crete. When German forces invaded Greece in April 1941, they faced poorly equipped Greek, British, Australian and New Zealand troops who conducted a fighting withdrawal towards beaches near Athens and on the Peloponnese from which they were evacuated. Many were taken to Crete. There Commonwealth forces faced a German airborne invasion. Having come close to defeat the Germans captured Maleme airfield and turned the campaign in their favour again forcing an Allied evacuation. More than 600 Australians lost their lives in the Battle for Greece and Crete while some 5,000 became prisoners of war. One was my Uncle Don. Glenn Davies describes his story. Following the outbreak of World War II on 3 September 1939, the Australian government announced the decision to raise the Second Australian Imperial Force for overseas service. The 2/5th Battalion was an Australian Infantry Battalion that was raised at Puckapunyal, Victoria on 18 October 1939, as part of the 17th Brigade of the 6th Australian Division. The nucleus of the battalion was assembled in ensuing days at the Royal Melbourne Showgrounds, but its first drafts of recruits were not received until after it moved to the newly-established camp at Puckapunyal on 2 November 1939. Basic training was completed there prior to the battalion’s departure for overseas service on 14 April 1940. After arriving in the Middle East on 18 May 1940, the battalion undertook further training in Palestine and Egypt. The 2/5th Battalion took part in its first campaign – the advance against the Italians in eastern Libya – in January and February 1941, and participated in successful attacks at Bardia (3–5 January 1941) and Tobruk (21–22 January 1941). 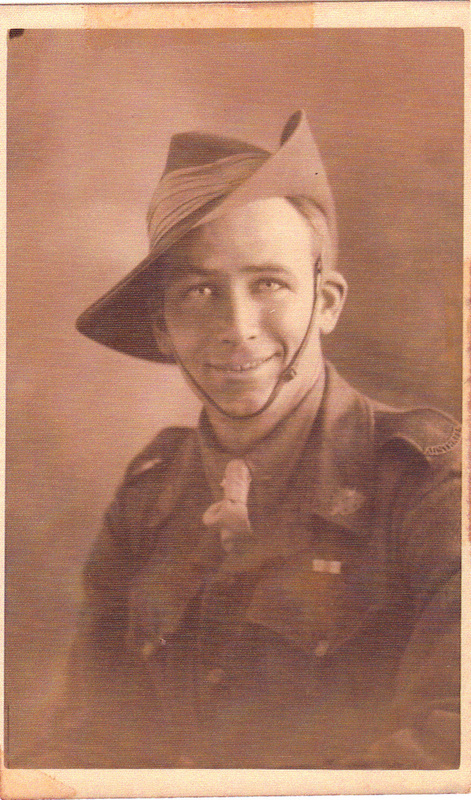 My great uncle Donald Walter Davies was a single labourer who enlisted in the 2/15th Australian Infantry Battalion on 1 June 1940 in Cairns, north Queensland. He was 21 years and 2 months old. By the 7 June 1940 he was undertaking basic training at Redbank, Brisbane. On 26 December 1940 he embarked from Sydney arriving in the Middle East on 3 February 1941. This was as the 6th Division was preparing to be sent to Greece. In early April 1941 the 6th Division deployed to Greece to resist the anticipated German invasion. The invasion subsequently took place as anticipated, although in the end the Australians were unable to stem the tide of the German onslaught. The 2/5th Battalion began the campaign at Kalabaka on 14 April 1941, however, in a series of withdrawals made necessary by the lightning advance of German forces, they were pushed back all the way to the port of Kalamata from where it was evacuated just a couple of weeks later on 27 April 1941. Private Donald Davies’ official war record states he was reported ‘Missing in Action. Believed POW’ on 25 April 1941. The 2/5th Battalion had lost about 50 men as prisoners of war as a result of this campaign when a number of drivers were captured as they had been unable to make it out in time. It is most likely one of these was Private Donald Davies. It was not until 10 July 1941 that there was official confirmation that he a ‘Prisoner of war’, or POW. Some 8591 Australians became prisoners of war of the Germans and Italians in the Second World War. They included airmen and soldiers of the 6th, 7th and 9th Divisions. Most of these were infantry captured in 1941 during the campaigns against the Germans and Italians in North Africa, Greece, Crete and Syria. Unlike the thousands captured in Singapore, these men were usually taken in small groups, and sometimes as individuals, such as shot down RAAF aircrew. Those POWs captured in North Africa were sent to Italian, Greek or German camps. Most remained captive for more than three years and endured cold, hunger and a spirit-crushing boredom. Private Donald Davies’ POW captivity was to last a little over four years. In the first year it is unclear where he was held. 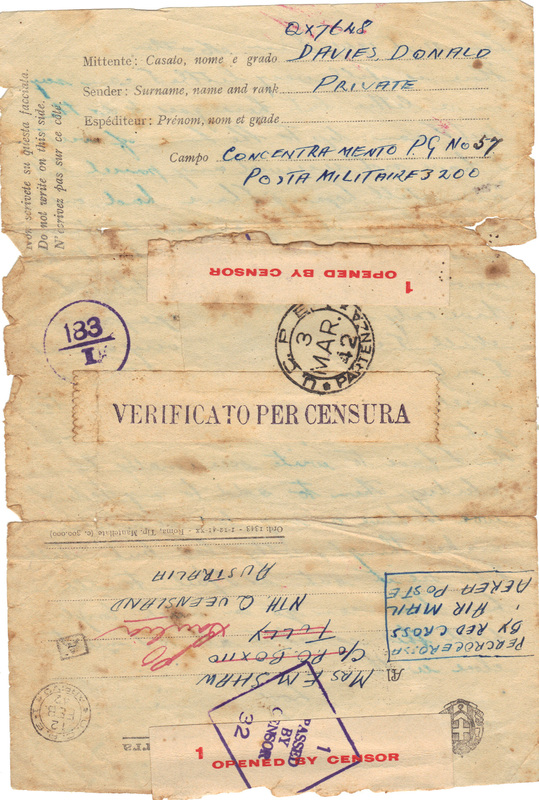 But by January 1942 he is in the Italian internment camp, Campo 57 at Gruppignano. From late 1943 until early 1945 he is in German Stalag 344 at Lamsdorf. His was to be a long war. When most Australians today think of POWs, they will probably recall stories of the men and women who were prisoners of the Imperial Japanese Army during the Second World War. There are some understandable reasons for this: they represented the highest number group of Australian POWs of any conflict, then or since; and their experience was of unprecedented brutality and horror. There were two main reasons why Australian POWs in Europe died in such low numbers compared to their Japanese counterparts: they were generally better treated by the Germans and Italians, they had access to regular Red Cross parcels as well as medical supplies. There was also the possibility of being repatriated well before the war was over, due to reciprocal prisoner exchanges between the Allied and Axis countries. POWs were also allowed to regularly send and receive mail – an important morale booster and a way of keeping in touch with loved ones at home. While there are elements of truth in these generalisations, comparisons between the two groups only serve to diminish the genuine suffering of European POWs. They also returned to a public that was focussed on the stories of Australian POWs in the Pacific and, apart from the stories of the escapes from the German camps, knew little about life in captivity in Europe. There is little known officially of Private Donald Davies’ first few years as a POW. It is likely that at first he was held in a temporary camp in Greece. The first mention in his war record is on 2 September 1943 as being held in Italian Internment Camp 57. Australian POWs who were not officers were held in Campo 57, at Gruppignano near Udine in north-east Italy. The camp was commanded by the very harsh Colonel Vittorio Calcaterra. This Italian officer died before he was able to be charged with war crimes. The first evidence of where Private Donald Davies was being held captive was a letter written in January 1942 from Campo 57 to his mother in north Queensland. In this first letter he refers to Audrey who he would marry after the war and Nell, his sister. He talks here of not yet receiving any parcels from home but tries to keep the letter with a hopeful tone. This would have been his first white winter – as a north Queensland boy he would never have experienced the cold from snow before. In the second letter to his mother he again refers to not receiving any packages from home. However he does receive regular food parcels from the Red Cross. This letter also has been censored with 2-3 lines blacked out. The context of the letter suggests it was a critical comment about the Italian authorities holding up Red Cross parcel deliveries. Just the usual note to show the usual. I am as usual quite well. I have not received any parcel from you yet. The worst of the winter is now over and I think I have weathered it quite well. The chilblains are a bit painful though. I had my first letter from Nell this morning. It has taken a long while to reach me being several months old. Wrote to Agnes last week. I only remember one girl of that name and believe me she is easy on the eyes. Yes we get a parcel of food from the Red Cross weekly. Theoretically that is. Sometimes owing to a hitch somewhere or other they don’t turn up. [Black censored 2-3 lines] This is about the lot so I’ll say cheerio. In the third letter to his mother he discusses social activity at Campo 57 and some of his health problems. Food was poor in the Italian internment camps, and housing was crowded and insanitary. Although there is reference to a dentist in the letter the prisoners usually had to improvise their own medical treatment to cope with both pneumonia and kidney disease. There is a sense of his growing depression and frustration at the lack of contact with family and the outside world. Things have all quite a lot improved recently. Since I last wrote you I have had a slight attack of dysentery. Nothing to worry over though and I am as well as ever again. Also I am having a spot of trouble with my teeth. The dentist says that most of it is due to that fracture I had at college. I am not getting very much mail these days but I am glad of what little I do get. I have taken on the boxing again. I have a chap teaching me who has been in with most of the good men at home. My boxing sense is as good as ever but I am fearfully slow with my hands. That can be easily rectified though. Since my capture I have had two letters from Nell. Not a bad average is it. I am getting a little tired of writing and getting no reply. You might mention it to her next time you write. This is all for this time so will close with kind regards to all. The final surviving piece of correspondence is a postcard to his sister-in-law, Ann. 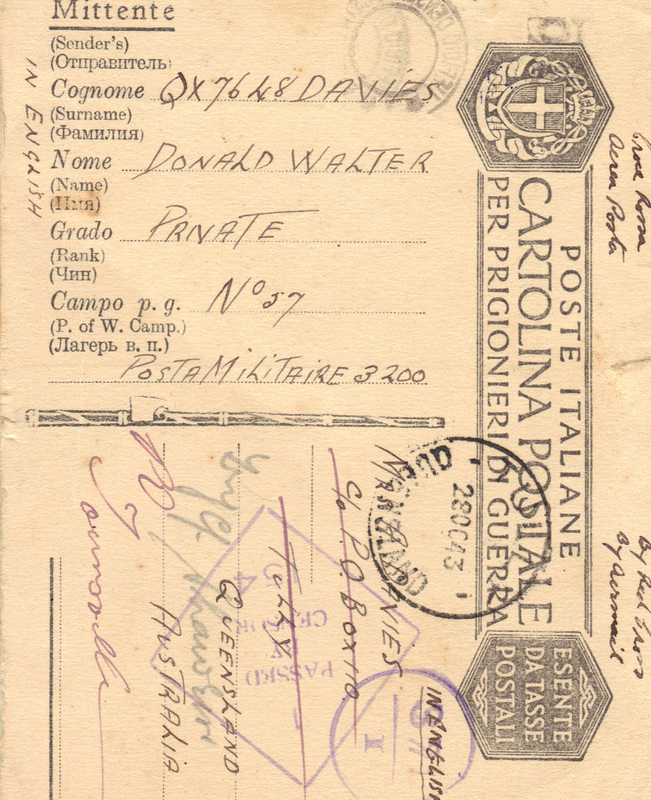 Although it is brief the message suggests that parcels and messages from family was now getting through to the POWs in Italy. Had a letter from you a while back. Thanks for the card of the kid. He sure is a fine boy. Had a parcel from Mum dated 4th January. Am doing quite well at present. In September 1943 Italy surrendered to the Allied forces. Some prisoners were able to escape to Allied lines in the confusion. Those unable to get away were rounded up and sent to Germany. Private Donald Davies was one of the Australian POWs who was to eventually find himself in a German POW camp. When Italy capitulated in 1943, all POWs in Italian hands were transferred to German control. POWs were held in over 40 major camps all over Germany, from Lithuania to the Rhine. About 8,600 Australians became prisoners of the Germans. They included 7,115 Australian soldiers captured in North Africa or Greece; 1,476 airmen, mostly bomber aircrew shot down over Germany in 1943–45; and a few sailors. Private Donald Davies’ official war record reports on 10 May 1944 he was interned as a POW in STALAG 344 at Lamsdorf, Germany. While officers and other ranks were rarely separated into different camps in Japanese captivity, in the German case this was the rule: officers went to ‘oflags’ and all other ranks to ‘stalags’. Men accepted unaccustomed responsibility: one Australian warrant officer became the de facto commanding officer of 11,000 Allied prisoners of war in Wolfsberg camp. Stalag VIII-Bwas a notorious German POW camp, later renumberedStalag-344. It was located near the small town of Lamsdorf in Silesia. The camp initially occupied barracks built to house British and French prisoners in World War 1. It was opened in 1939 to house Polish prisoners. 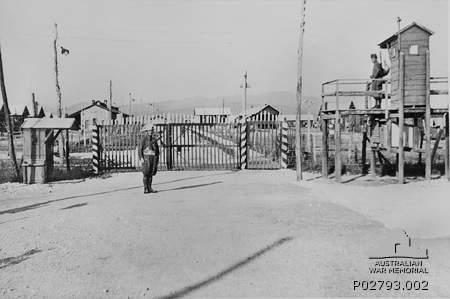 There were approximately 100,0prisoners from Australia, Belgium, British India, British Palestine, Canada, France, Greece, Italy, the Netherlands, New Zealand, Poland, South Africa, the Soviet Union, the United Kingdom, the United States and Yugoslavia pass through this camp. 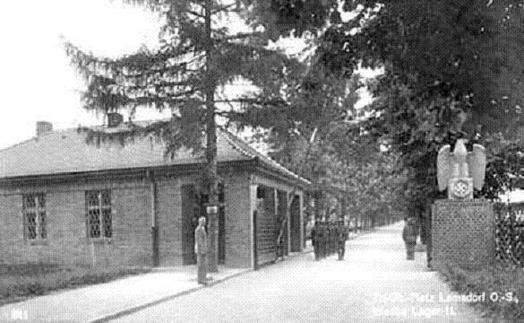 By 1943, the famous camp for Allied flight personnel in Sagan Stalag Luft III - had become so overcrowded that about 1,000, mostly non-commissioned flight personnel, were transferred to Lamsdorf. In 1943, the Lamsdorf camp was split up and renumbered Stalag 344. In January 1945, the Soviet armies advanced into Germany and reached Stalag 344 on 17 March 1945. What was the chain of events at this time for Private Donald Davies is unknown except that by 27 May 1945 he was back in the United Kingdom. It is a good assumption that he was one of the fortunate POWs in that during the months of March and April 1945 he must have got far enough to the west to be ‘liberated’ by the American army. When the Soviets ‘liberated’ the eastern German POW camps many of the POWs still present were marched westward in groups of 200 to 300. This was the so-called ‘Death March’. As a result many POWs died from the bitter cold and exhaustion. 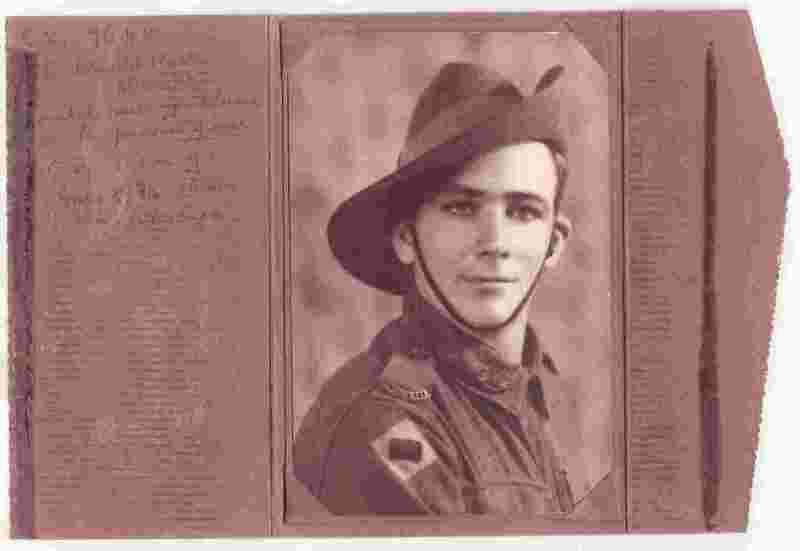 Private Donald Davies from north Queensland had a long war comprised of about 6 weeks active duty in Greece followed by over four years in Italian and German POW camps. Family legend has that he was valuable in the Italian POW camps due to his understanding of Italian having grown up around the large communities of Italian immigrants who had around the cane fields of north Queensland in the 1930s. The legend continues that because of his linguistic expertise he was involved in a number of escapes. As a result of this he was sent to a more secure German POW camp. This seems a little fanciful as not only does the Italian peninsula contain so many different dialects but he was actually transferred to Germany as a result of the capitulation of Italy in 1943. What is intriguing though is the events that led from him being ‘liberated’ from Stalag 344 to his arrival in the United Kingdom. On this we have no information. It states in his war record that he was officially a ‘Recovered POW” on 16 May 1945. He spent time in England where the photograph of him in Scottish dress was taken on 28 May 1945. However, on 4 July 1945 he embarked from the United Kingdom for Sydney arriving on 2 August 1945. On 8 October 1945 Private Donald Davies was discharged from the 6th Division. He went on to have a long and successful life. On this 70th anniversary of his official notification of being declared ‘Missing in Action. Believed POW’ in the Battle of Greece and Crete it is worth spending a moment and reflecting on the long war and service of one ordinary Australian soldier.